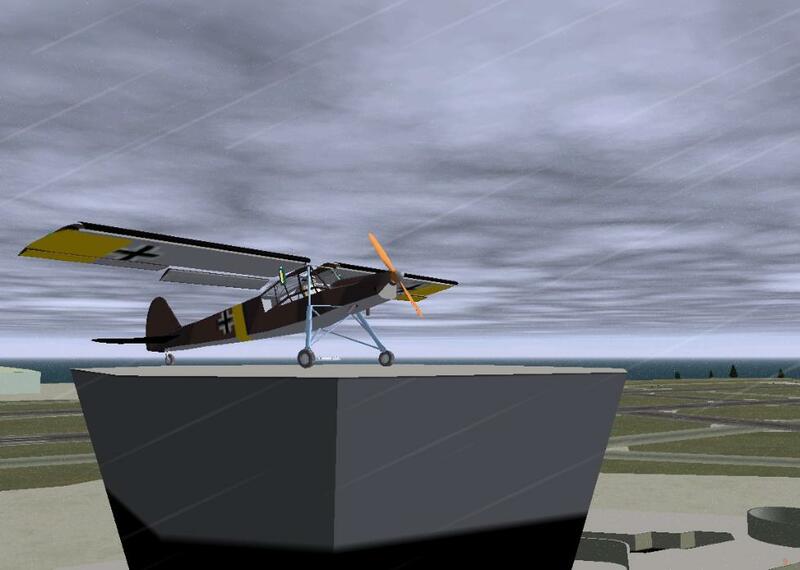 FlightGear forum • View topic - STUNT Challenge: Rooftop Landing! Click here for the River Visual challenge! You can submit videos for this challenges before the 19th of August! I just put up a video on YouTube setting up a stunt scenario: landing on a rooftop. I hope you'd like to give it a try yourself! Make a video or a screenshot of you landing on top of a building. I'll pick the best one(s) and feature them in a new Stunt Friday video! Upload a video response to this video, or if you just have (some) screenshots you can leave them in this topic. Also, please let me know if you like this concept, maybe I'll think of a new stunt every week! Last edited by Oscar on Fri Sep 02, 2011 9:24 pm, edited 12 times in total. Last edited by fmg on Sat Jun 08, 2013 8:50 pm, edited 1 time in total. Wow, hard landing, and a cool video! Well done!!! LOLOLOLLOLOL You could have tried not making it obvious that you had crazy winds turned on by not having precipitation. It was real weather fetch, about 40 kt wind and it came with precipitation. Didn't know that bad weather was not allowed. It was told, that the Storch could go backwards in strong wind. That I liked to find out. In FG the wind was never strong enough for that. But I never tried it with more then 50 kn. Flight log No is about 438, but it looks like you can't view the route any more. But I'm sure, that better pilots then me could easily land there even in still air. At least the plane is in one piece. Hey I never said anything about windspeeds Well done on the landing, it really doesn't seem like you have a lot of space to brake there! longfly wrote in Fri May 20, 2011 9:49 pm: Wow, hard landing, and a cool video! Well done!!! The maneuver is easy: fly pointing your nose at almost 90 degrees and turn off the engine; after a while your speed will reach 40-50 knots and you will stall; your nose will fall down and you'll have to retake control only with the flaps (no engine or airbrakes! ); keep your nose between 0 and +10 degrees, your speed should be around 140-150 knots and you'll slowly lose altitude; just wait for the tuchdown, remember that you'll have to use the brakes to do a full stop. If you think it's easy, try it for yourself. The fuel tanks in front of the large hangar are good practice. Re: the Storch, I don't think it's possible to land it on the tower roof without at least a 10-15 knot headwind. I did land the Cub there once with no wind, and it wasn't pretty. What the heck? Vertical hovering with a boeing? That's freaky. shadow wrote in Sat May 21, 2011 12:23 pm: What the heck? Vertical hovering with a boeing? That's freaky. Actually it's: "Fighting heavy winds with a Tupolev?" Oscar wrote in Sat May 21, 2011 12:30 pm: Actually it's: "Fighting heavy winds with a Tupolev?" Must be the storm of all ages...? Looks like the Russian always have some secret features incorporated in their technologies. 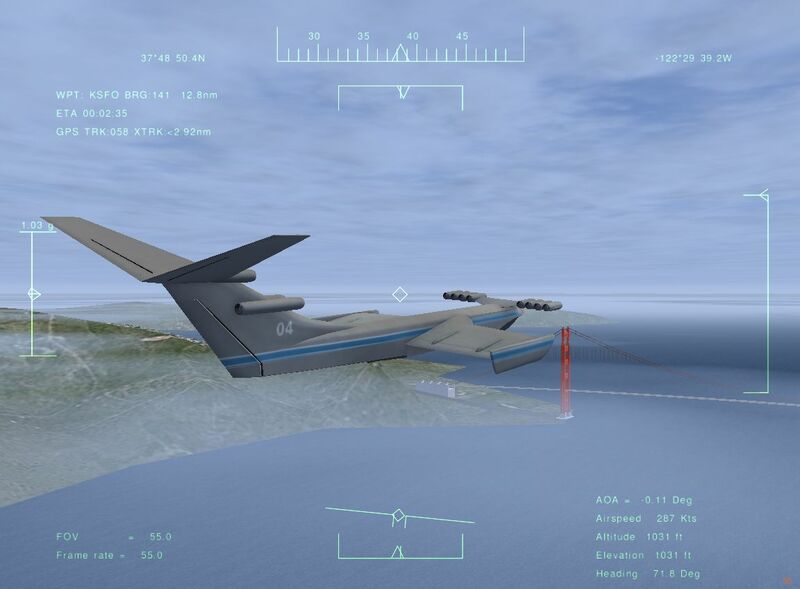 So we always were told, the Ekranoplan could only hoover a bit over the water. This assumption was totally wrong as you can see below. Last edited by fmg on Sat Jun 08, 2013 8:51 pm, edited 1 time in total.